The two have been subjected to beatings in police custody. 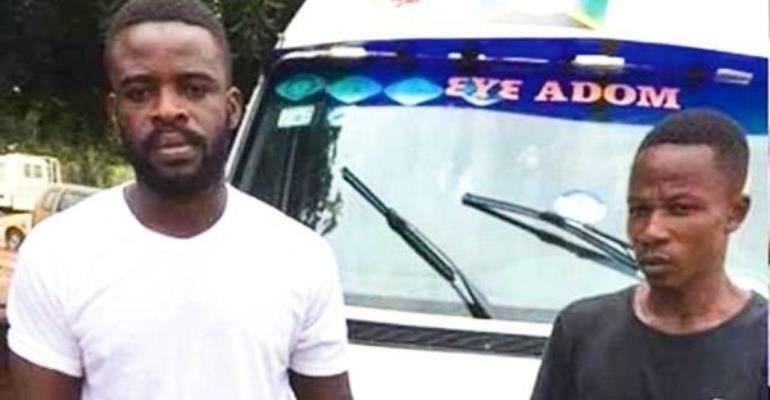 The Driver and his conductor (mate) who engaged in a fist fight with a police officer have been subjected to serious beating in police custody, their lawyer has said. The two were arrested when the video of the episode went viral and they were charged with four counts including assaulting a police officer. The court remanded them into police custody. Speaking to Joy News, Human rights lawyer, Francis Xavier Sosu - who met the duo after they transferred to Bureau of National Investigations (BNI) custody - said their physical appearance and their demeanour clearly confirm they have suffered abuse. He said they have been psychologically affected by the abuses as well. “You can see the fear,” he told Joy News’, Joseph Ackah Blay. The lawyer added that he is pleased with the treatment the accused persons have received in the BNI custody after they were sent there. “From our conversation, the BNI has provided them with a safe haven,” he said. He added that the driver and his mate are the victims in the case and when they reappear before the court, their side of the story would be told. Eyewitnesses corroborate this, according to one who spoke to Joy News, the police chased down the driver for allegedly and jumping a red light and physically abused him. He said the driver retaliated when he had enough of the abuse.